About the last thing John Diggle wants to do is go back overseas in the company of Deadshot - the man who killed his brother. But when the alternative is his pregnant ex-wife going overseas in the company of the man who killed his brother (i.e. the very last thing John Diggle wants), he didn't have much choice but to volunteer and lead Task Force X into a war zone. He may be signing his own death warrant but that's why they call it The Suicide Squad. I asked for it. And boy did I received it! A full-length Suicide Squad special worthy of the name! I said in Arrow Season 2.5 reviews past that the back-ups by Keto Shimizu and Szymon Kudranski needed to be their own full-length book. 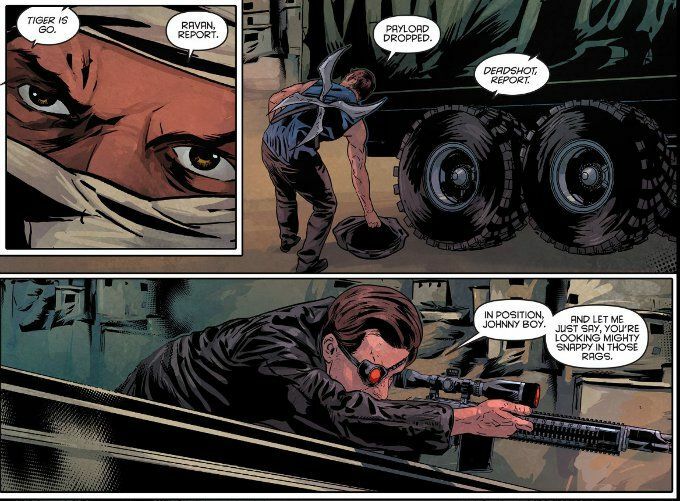 And what we see in this issue more than justifies my belief in the creative team. I'm reluctant to say more about this issue save this: if you're a fan of the classic Suicide Squad comics of John Ostrander, you'd do well to check out this issue even if you're not normally an Arrow viewer. 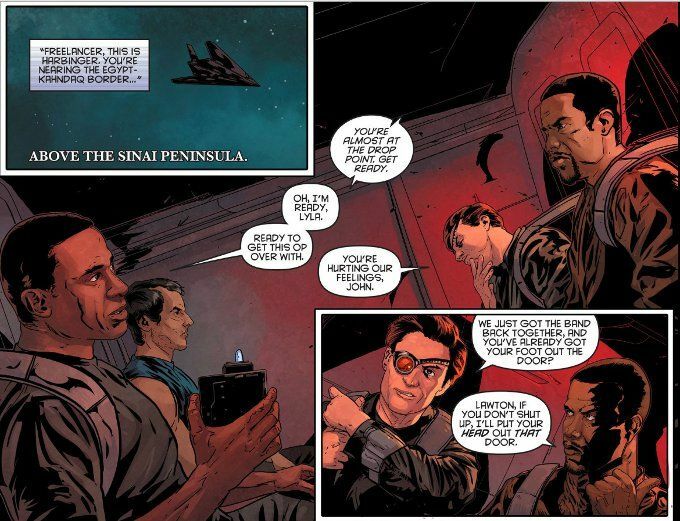 Fans of military adventure fiction will likely enjoy this comic as well. And Arrow-heads? You'll like it too, especially for the cameo at the end.